I am fascinated by listening to authors or other artists talking about the creative process. Today I was listening to an interview with Vermont author Howard Frank Mosher, who writes stories about the Northeast Kingdom (NEK). The NEK is a very rural area covering the three northeastern counties of the state. Many of his stories come from situations that happened to his neighbors, but are embellished and expanded on by him and his imagination. However, other stories come straight out of the creative process. One of his books is called “Waiting for Ted Williams.” He talked about how he was driving late one night and saw a vision of a man leaning against a barn, and the man looked like Ted Williams. He stopped for coffee at a McDonalds, took out a piece of paper and in 5 minutes had written the outline of the book. Listening to that interview reminded me of two other examples. Most of us recall Harold Pinter’s Nobel acceptance speech for its criticism of US foreign policy, but at the beginning of the speech he gave us some insights into his creative process. From there he goes on to explain how these snippets of thoughts helped define the characters and actions of these plays. 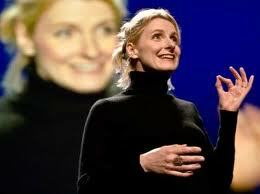 The other example – and my personal favorite – is a TED Talk by Elizabeth Gilbert entitled “A different way to think about creative genius.” The talk is centered around her realization that she may never again achieve the fame of “Eat, Pray, Love” and how to deal with that reality. She believes that the Greek’s and Roman’s perspective – that you HAD a genius that helped you at times – was a better, saner perspective than our society’s view that the person IS a genius. In the talk she gives a couple of examples of artists and their creative process. One of them was a poet who felt the poems coming at her over the ground and having to run to get paper and pencil to be able to get them on paper. One time she almost missed one and “pulled it back by its tail” and it got written down with the words in reverse order. It gives me goosebumps to hear it. Give them a listen and enjoy! Great blog post, Joel! I have an unrelated question: why can’t I find your previous blog posts on this page?